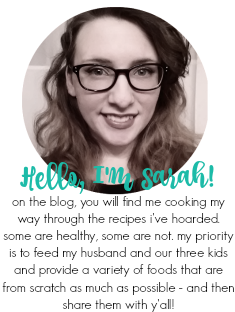 Hello, Fantastical Readers! I have a fun tutorial coming up in this post that I have been eagerly awaiting to post and I hope you stick around to check it out. If you follow me on social media, you may notice that my whole family suffers from sensitive skin (we all have varying degrees of severity of eczema) and seasonal allergies. Matthew and I are getting immunotherapy to help with our environmental allergies because we definitely suffer the most out of everyone. Both of us are allergic to everything they test you for in the skin prick test...yes, everything. Even though we get allergy shots, I take every measure possible to minimize flare ups and that includes washing all of our laundry with all® free clear products. Over the many years as a mom and wife, I have found that all® free clear liquid detergent is the only detergent that my family can use that doesn't affect our sensitive skin and still cleans our clothes. Matthew's pediatric dermatologist recommended it to us when he was about 10 months old. It's actually the #1 detergent recommended by dermatologists, allergists, and pediatricians for sensitive skin - and I completely understand why. It's free of dyes, perfumes, and irritating residues. Plus it takes care of 99% of allergens like dust mite matter, cat and dog dander, ragweed, tree, and grass pollen. Ragweed in particular has been rough lately here in East Tennessee. It has also been awarded the Seal of Acceptance from the National Eczema Association. 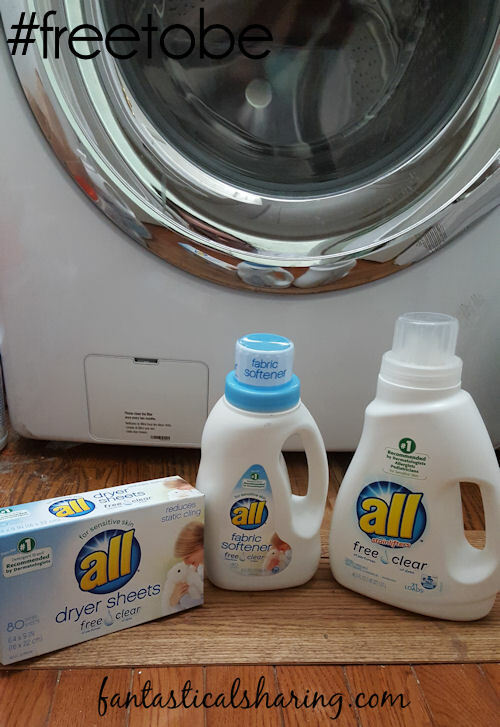 I buy the all® free clear liquid detergent (plus the all® free clear fabric softener and all® free clear dryer sheets because soft and static-free clothes are just as important as clean ones!) at my local Kroger. It is ultra convenient for me since I am there every week to grocery shop. If you shop at Kroger, you can find them on the laundry products aisle which is aisle for my store. 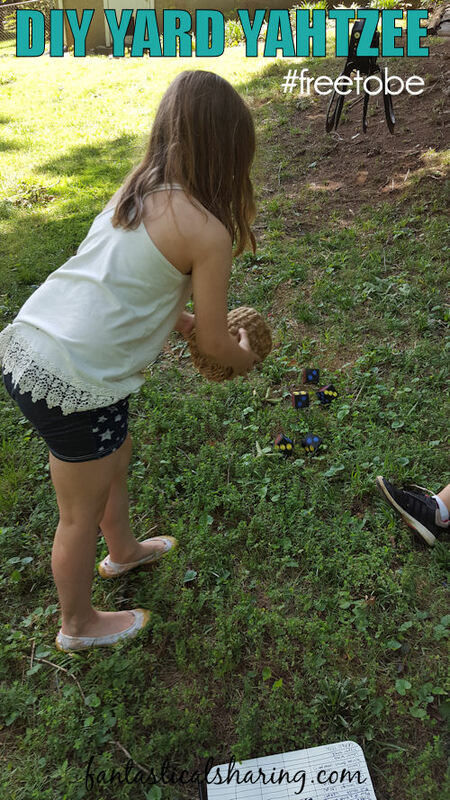 If you're a US Reader, you know that summer is well under way and if you're a parent, you may be looking for some fun activities to do with your family outside to escape the very dreaded "I'm bored" rut. My oldest two, Matthew (9) and Cambria (8), are definitely over summer break already and I hear "I'm bored" many many times a day. They are less likely to cry boredom if they are outside, but still it does happen sometimes. 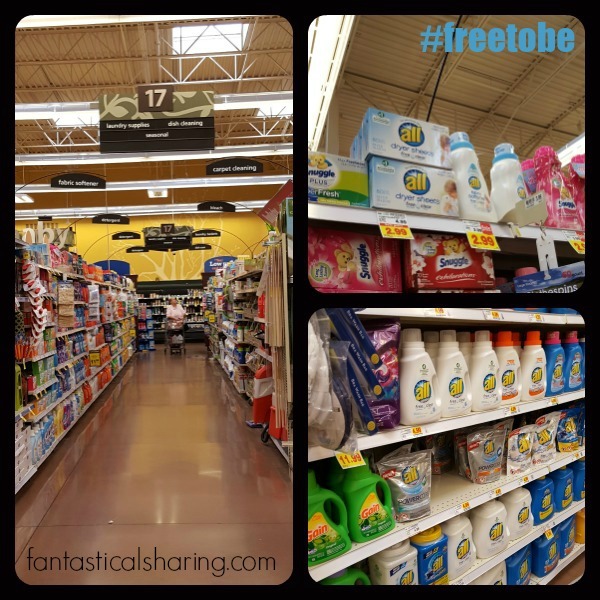 Why am I mentioning all® free clear liquid detergent?? Because it goes hand-in-hand with our outdoors experience and makes me feel at ease with having my kids outside playing in the grass, climbing trees, etc. They are definitely free to be kids with the help of tough-stain-fighting, whiten-whites, and brighten-colors all® free clear liquid detergent! 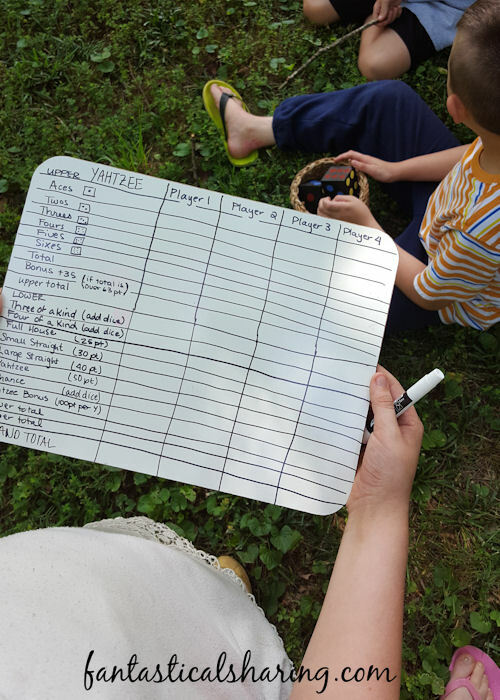 And in the spirit of getting the whole family outdoors, let's get on down to business to create a fun outdoor activity for everyone to enjoy! 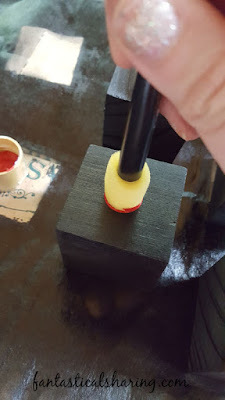 Below I give you step-by-step instructions on how to make DIY Yard Yahtzee! My older two kids have gotten pretty obsessed with board games lately and Yahtzee is one of their favorites. They are both math whizzes, so they enjoy the number and score-keeping bit of Yahtzee, as well as, just trying to get an actual Yahtzee. They were over-the-moon thrilled and excited that I was making an outdoor version for them. In this project, there is a lot of room for customization. You can do bigger or smaller dice. 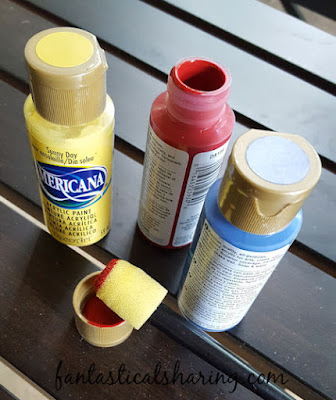 You can paint them a base color or stain the wood (just remember to allow time to dry!). 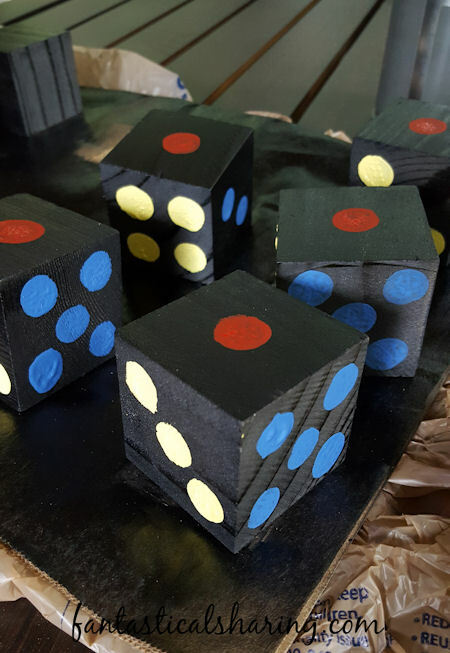 You can do different colors or one color for the dots on the dice. 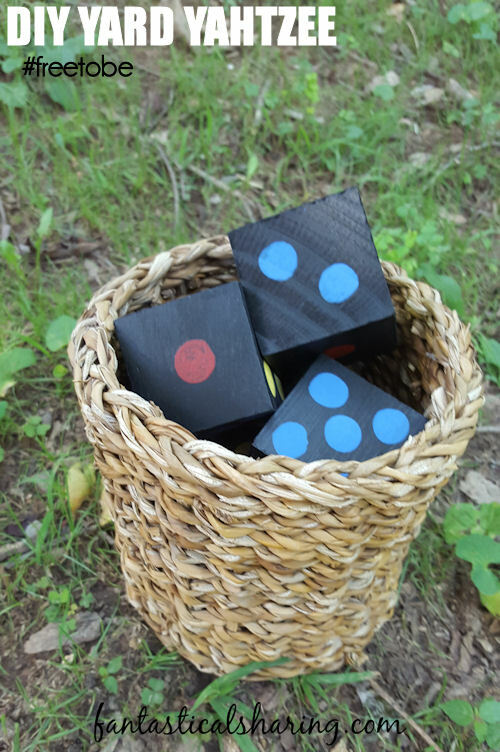 Your dice bucket can be metal, plastic, or wicker. Be sure to protect whatever surface you are working on. 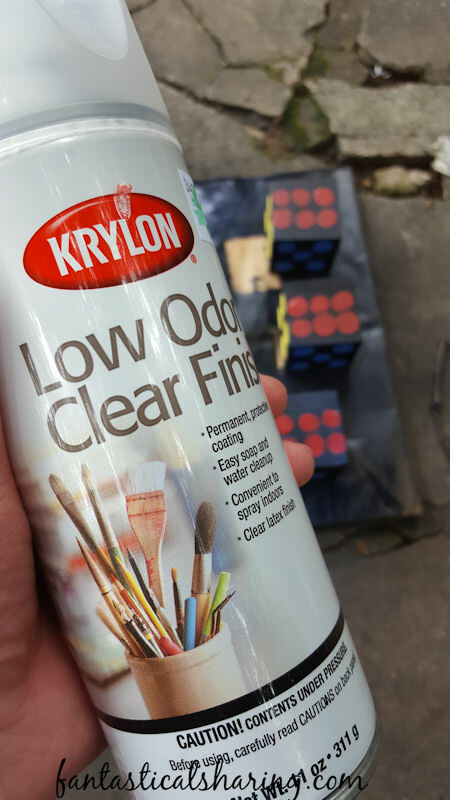 Wear old clothes that you aren't afraid to get paint on and work in a well-ventilated area. 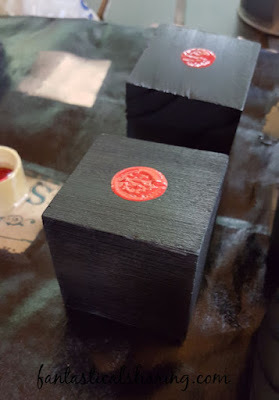 If you decide to do a base color for your dice or stain them, now's the time! 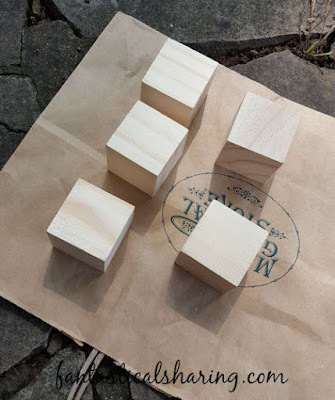 Coat your wood blocks evenly to help with drying times and the look of your paint or stain. I opted for chalkboard spray paint and love how it looked against the bright colors of my dots. Allow enough time to dry before going onto the next step. I did five sides and then came back after they had dried to do the sixth side that was on the bottom. Add dots to the faces of your wood blocks. 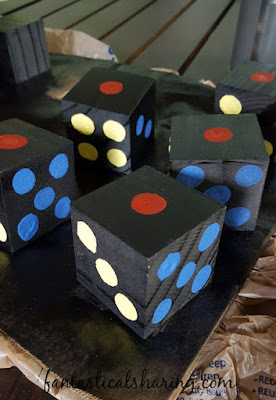 If you don't mind what sides are facing opposite, just be sure you have 1 through 6 on each dice. For those of you who do (like me), opposite sides of the dice add up to 7, so your pairs will be 1 & 6, 2 & 5, and 3 & 4. Because there are three opposite side pairs and I had three colors, each pair was a different color. 1 & 6 were painted red, 2 & 5 were blue, and 3 & 4 were yellow. Allow to dry once again. 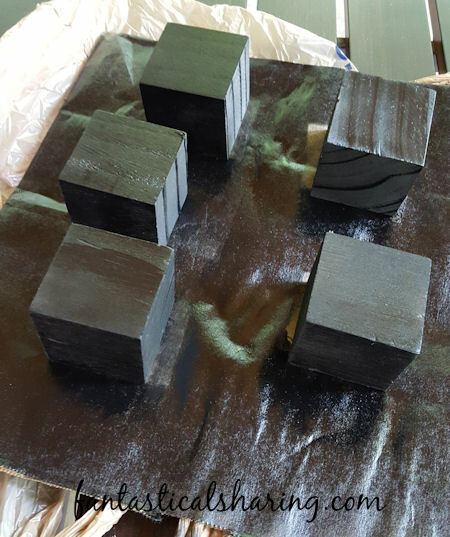 I painted 1-5 and let them dry before flipping my blocks over to the blank face to paint my 6. Spray dice with sealant/finish and allow to dry - again you will most likely have to do 5 sides and wait until they are dry to flip over and get the 6th side. Once dry, place in your bucket and get ready to play! We used a dry erase board and copied the score sheet from our board game onto it with Sharpie. Just be careful not to use your dry erase marker on the Sharpie spots because they'll come off. You can also use sidewalk chalk to make a scoreboard on your sidewalk. If you would like to learn about the newest products from all first and connect with other parents, you can join the all® free clear community. If you have sensitive skin/eczema or suffer from seasonal allergies, be sure to check out the all free clear line of laundry products. They are truly wonderful. Disclaimer: all® free clear products are not intended to treat or prevent allergies. Remember to follow the directions on the packages for best results.